More and more we are seeing reviews on cladding materials affixed to building deemed to be a fire hazard, and with looming restoration bills in mind properties are being released to market with Melbourne Conveyancing Purchasers blissfully unaware. 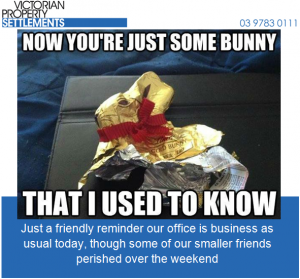 So don’t get caught out, let the team at Victorian Property Settlements be your partner in property and avoid any post purchase shock! When Kanye West committed to buy a lavish $20Million AUD property he may have thought he’d be in the good books however according to reports Kim K was less than impressed given the luxury price tag and public visibility. Happy Chinese New Year! 恭禧發財 ! Wishing all of our valued clients a happy year of the pig! 恭禧發財 . From all the team at Victorian Property Settlements we would like to extend the happiest of Chinese new year wishes to all our clients, friends, and family. Purchasing your first property is one of those milestones you’ll tell your grandchildren about, and the hard work it took to get there. But becoming a home owner is always easy or straight forward. Being educated can be the difference between realising your property dreams or the start of your nightmare. That’s why we’re proud to support First Home Buyer Buddy, a services that educates buyers and helps them to realise their property dreams. Our office is pleased to advise we have re-opened following the festive season closure. We wish you all the very happiest of new years wishes and look forward to assisting you in all your Melbourne Conveyancing needs. What is a conveyancer and what do they do? Why does a person need a conveyancer?